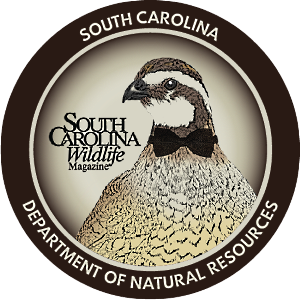 The state's Waterfowl Management Areas provide prime waterfowl hunting and habitat protection, thanks to a dream shared by Ducks Unlimited (DU) and the S.C. Department of Natural Resources (DNR) that took shape nearly thirty years ago. 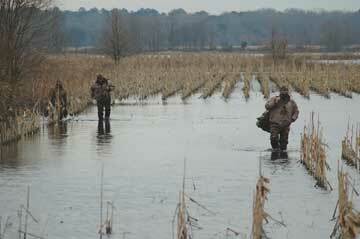 The late 1970s and early 1980s were a crucial time for waterfowl management in South Carolina. The number of migratory waterfowl visiting each winter was dropping, and growing development of the state's coastal region threatened critical wintertime habitat for the birds. But nearly three decades of cooperation between Ducks Unlimited and the S.C. Department of Natural Resources - cemented by a 1988 meeting at Mary's Island that led to the creation of the ACE Basin project - have helped turn that tide. In retrospect, the conservation partnership between DU and the DNR seems almost inevitable. "The Department of Natural Resources and Ducks Unlimited's constituents are basically the same group of people with the same shared vision," says DNR Director John Frampton, and since 1981, the two groups have worked closely to protect and manage critical habitats. That work has benefitted waterfowl and waterfowl hunters, to be sure - but also thousands of other plant and animal species. 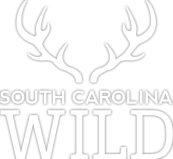 This highly successful partnership was built on a foundation of one-on-one relationships between individual South Carolinians - men and women who shared a passion for hunting and conservation and were in a position to do something about it. In 1979, forester and lifelong duck hunter Coy Johnston was chosen to be the director of DU for the region including South Carolina, and he immediately set about looking for allies. It didn't take long for him to find Marvin Davant. "If there was a lead duck in this thing," says Johnston, "it was Marvin." At the time, Davant was the administrator of the state Tax Commission (now the S.C. Department of Revenue) and was also serving as DU's state chairman. Davant knew raising money would be a priority, and he drafted what would ultimately become the South Carolina Waterfowl Stamp Act, a piece of legislation that laid the groundwork for future DU-DNR joint conservation projects. "The duck stamp set up a formal relationship whereby the DNR got the revenue from stamp sales, and the Migratory Waterfowl Committee got the proceeds of the duck stamp print sales, which they sent to DU," says Davant. "The duck stamp bill turned out to be a great deal for DU and the DNR; both have collected millions of dollars over time at virtually no cost to the state [taxpayers]." The two men's personal relationship strengthened their working one. "Coy and I became fast friends," says Davant. "We traveled the state generating grass-roots interest in the bill, and since that time we have hunted, fished and roamed together for years." Establishment of the Migratory Waterfowl Stamp program coincided with innovations within DU. 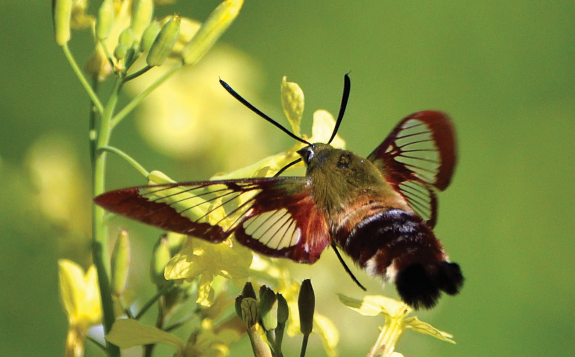 For its first half a century, DU had focused much of its efforts on critical summer nesting grounds in the "Prairie Pothole Region," a vast expanse of grasslands and connected wetlands straddling the U.S.-Canadian border. 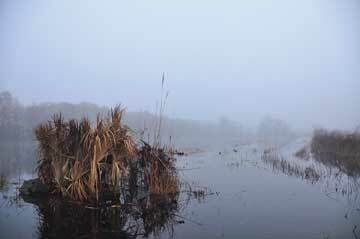 In 1984, DU established the MARSH (Matching Aid to Restore State Habitats) program to work on the wintering areas for waterfowl. MARSH supports state and federal agencies with matching financial aid and in-kind technical assistance. Craig LeSchack, based in Charleston, is DU's director of conservation programs for the South Atlantic Flyway, which covers North Carolina, South Carolina, Georgia and Florida. MARSH, LeSchack explains, is basically a "cost-share program for partnering with state and federal agencies to conserve waterfowl and wetland habitat that allows DU to provide what are essentially turn-key conservation projects." The DU-DNR partnership blossomed in the fertile South Carolina Lowcountry. "We had worked with DU when the Broad River and Enoree Waterfowl Areas were developed and had built a great relationship with them," says Frampton. In 1985 he had just been named the DNR's chief of game. Three key events occurred in the latter part of the 80s as a result of that ongoing partnership that would ultimately change the face of land conservation in South Carolina. First, The North American Waterfowl Management Plan was signed. Second, Springfield Marsh, now a part of Bear Island WMA, was acquired, with DU providing $432,000 in cash and in-kind contributions. (In fact, the Springfield acquisition was the very first project funded by MARSH and was also the first formal DU-DNR joint venture.) Third, Dorothy and Gaylord Donnelley agreed to donate Sampson Island (also now a part of Bear Island WMA) to the DNR and place Fenwick Island under a conservation easement. 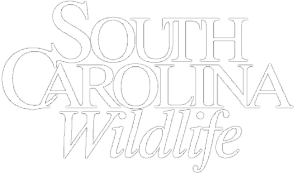 These developments brought Frampton, Johnston, and LaBruce Alexander of the South Carolina chapter of The Nature Conservancy together at Mary's Island in early 1988 to discuss opportunities for cooperation. The initial idea for what would become the ACE Basin project was developed at this meeting. It was, Frampton points out, the first time The Nature Conservancy and DU had worked together. When landowner Charles Lane, who grew up on Willtown Plantation, came on board, the momentum for a major public-private habitat protection project began to grow and find additional support. At the federal level, the U.S. Fish and Wildlife Service, the Army Corps of Engineers' Richard B. Russell Mitigation Fund and the fledgling North American Wetlands Conservation Act all played a role. The ACE Basin project received the first funding for habitat protection under NAWCA, receiving $2.5 million in 1991 for the purchase of Mary's Island Plantation. Soon, private corporations like Dow Chemical stepped up with offers of support, as well as nonprofits like the National Fish and Wildlife Foundation and the National Wild Turkey Federation. But, according to Frampton, a crucial part of the mix was DU's willingness to undertake a financial risk to support the plan. "DU stepped up to the plate on conservation easements in South Carolina," he says, "and when they borrowed money to purchase Mary's Island, that took a monumental leap of faith on their part." "The ACE Basin public-private partnership is a model that has been replicated by other states throughout the country," says LeSchack. 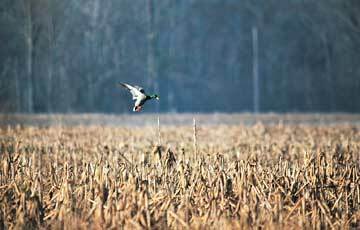 Since seventy-five to eighty percent of land in South Carolina is privately owned, "you can't meet waterfowl needs on public land alone; the equation has to include the private landowner." The ultimate success of the ACE Basin project is well-known, and rightly so. But perhaps less well-known is the extent to which the DU-DNR partnership has expanded waterfowl hunting opportunities and conserved critical habitat in other parts of the state. The DNR's Wildlife Management Area program offers optimum hunting experiences on a dozen "Category I Waterfowl Areas" - high-quality, intensively managed habitats that generally hold large concentrations of waterfowl. Each season, thousands of adult and youth waterfowl hunters excitedly send in their applications for a chance to experience one of these hunts through the DNR's Public Drawing Hunts program. The hunt lottery, with its system of annual drawings and preference points, ensures that every applicant has an equal chance to participate in a hunt. Category I areas also offer assistance for some hunts, such as decoys and boat transportation to and from blinds, with the goal of providing newcomers to the sport with a low-cost way to experience a high-quality hunt. 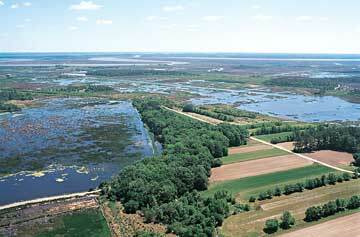 In the ACE Basin, Bear Island WMA holds computer-drawn hunts on three units: Springfield/The Cut, Eastside and Westside. Dikes and ricefield trunks are used to manage the habitat at Bear Island and other coastal Category I properties. Just down the road is the more than 8,000-acre Donnelley WMA. 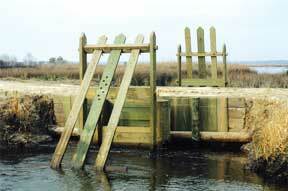 Hunters at Bear Island and Donnelley are likely to spot waterfowl species most common to the Lowcountry. "On the coast, green-winged teal drive the system," says State Waterfowl Program Coordinator Dean Harrigal. "Then, you also have wigeon, wood ducks, gadwall and blue-winged teal." A passionate conservationist, ACE Basin landowner Charles Lane likes to point out the number of nongame avian species - some rare or threatened - that have also found niches at Bear Island, Donnelley and nearby easement-protected private property. The list includes whooping cranes, white pelicans, wood storks, roseate spoonbills and American avocets, just to name a few. Santee Coastal Reserve, north of Charleston, is perhaps the most popular Category I WMA in the state. DNR was gifted this property prior to the DU partnership, but using MARSH funds, duck hunting and waterfowl habitat were improved through the repair of dikes, ricefield trunks and other water control structures. Santee Coastal Reserve spans nearly 24,000 acres - including 15,000 acres of managed wetlands. Berkeley County is home to Category I Bonneau Ferry WMA, which consists of 10,712 acres of mostly upland habitat, 100 acres of intensively managed freshwater waterfowl impoundments, about 200 acres of reservoirs and over 1,000 acres of old rice fields. DU contributed a $275,000 in-kind match towards the acquisition of the property, which is designated for adult/youth computer-drawn waterfowl hunts. 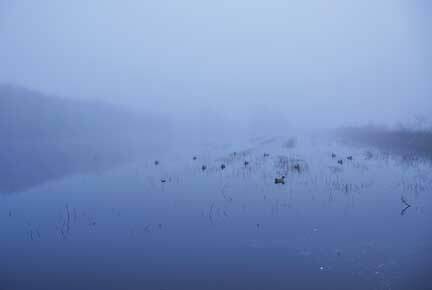 Broad River WMA, in Fairfield County, is South Carolina's major inland public waterfowl area. The property includes almost 150 acres in an impounded river floodplain. Recent improvements at Broad River supported by DU include the construction of a cross-dike and installation of a water-control structure that allows property managers to provide suitable water levels across the entire wetlands area. In Williamsburg County, DU put $114,000 in cash and in-kind contributions towards the Forest Legacy program's acquisition of 12,449 acres known as the Wee Tee Bottoms State Forest - a large block of contiguous uplands and forested wetlands along the Santee River deeded to the S.C. Forestry Commission that is now a part of the DNR's WMA program. Besides wood ducks, the dominant waterfowl species, the property provides a winter stopover for swallow-tailed kites and a large variety of neo-tropical songbirds. Wee Tee is a Category II Waterfowl Management Area that allows first-come, first-served hunting opportunities on Wednesday and Saturday mornings during the statewide waterfowl season. In Anderson County, support from DU has helped with the installation of dikes, water-control structures and a new wellhead at the twenty-five-acre Beaverdam Creek Waterfowl Area impoundment. Besides wood ducks, Beaverdam boasts mallards and Canada geese. In addition, the Clemson waterfowl impoundment at Fants Grove WMA was developed as a demonstration project on integrating waterfowl-management practices with agricultural operations. South Carolina's experiences have led conservation groups in other states to follow our lead. 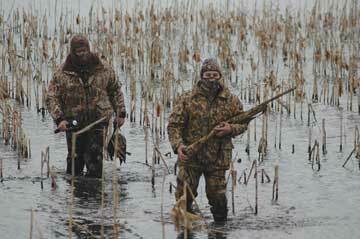 They've also led to some fine waterfowl hunting in unique and historic places. "Our hunt at Bear Island is as close as you can come to a guided hunt without paying for it," says Harrigal. "I've seen so many green-winged teal at Springfield that they looked like blackbirds - all balled up and rolling across the marsh." "Traditions and the sporting heritage in the Lowcountry of South Carolina are very unique," says DU's LeSchack, who has hunted waterfowl throughout the country. "When I think of duck hunting in the Lowcountry, I envision managed rice fields with trunks and an old plantation house off in the distance. I just love seeing the sun rise on the coastal marsh when the birds start buzzing." "South Carolina has quality duck hunting," says Frampton. "If you look at ducks per hunter on public lands, there isn't a better spot in the country." John's Island native Ford Walpole teaches English at James Island Charter High School and the College of Charleston.